This was by far one of the most memorable days of my career. I had no idea what to expect, all I knew was I was going to embrace the grain, the blur, and the soft, real moments of this shoot. That's really all I could do! This sweet little family has been such a blessing in my life and with their newest little addition, I could feel my heart swell with so much love and happiness for them. 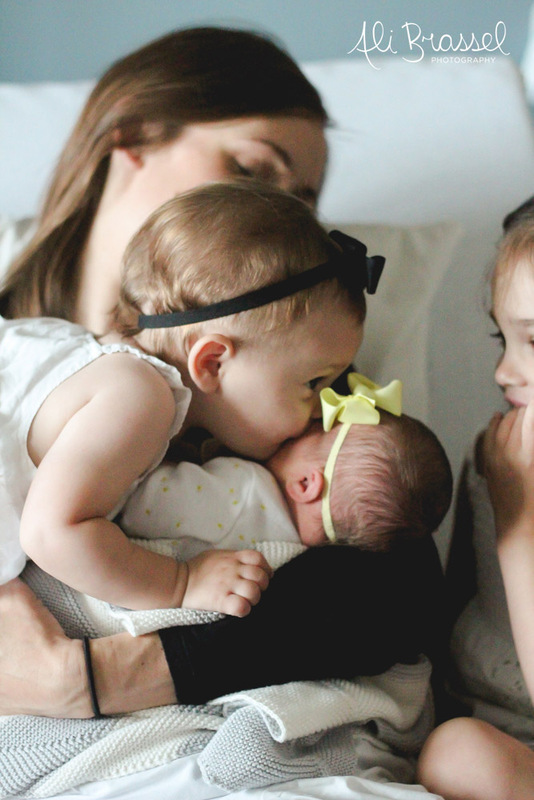 Sarah is the most beautiful mom ever and her little girls are so lucky to have her and their dad. This shoot was real and it was everything I had hoped it would be and more. There is a certain peace that comes with the arrival of a new baby. 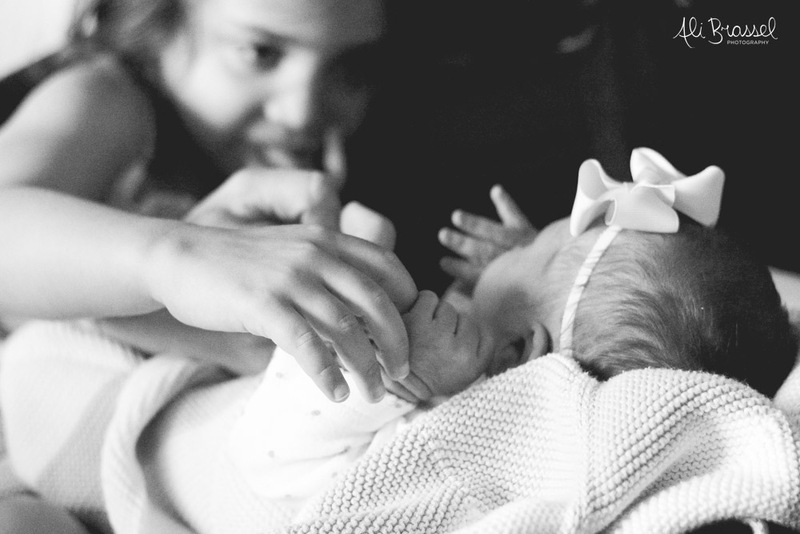 I felt it the moment I walked into the room and saw Sarah sitting on the bed with her new little girl in her arms. Life is a blessing and being able to capture Charlotte's first moments were like a dream. I hope she looks back on these photos and sees just how loved and cherished she really is. These photos make me feel warm, I hope they warm you up on this rainy day too!